PEA, which is short for palmitoylethanolamide, is a natural substance found in the body that may support pain management. It was discovered in 1957 by scientists extracting it from soybean lecithin, which they referred to at the time as N-(2-hydroxyethyl)-palmitamide. Let’s take a closer look at this amazing natural molecule. PEA is an endogenous fatty acid amide, and a member of the N-acetyl-ethanolamine family. Fatty acid amides, as the name suggests, are formed by a combination of a fatty acid and an amine. They are widely distributed in the body, and play an important role in biochemical signaling. PEA itself can commonly be found in foods, including eggs and milk. In addition, being an endogenous compound, PEA is found all over the human body; including the brain and spinal cord. Interestingly, pain hypersensitivity is associated with a significant decrease in the level of endogenous PEA in spinal cord and in brain areas directly or indirectly involved in nociception. This indicates that PEA is may be vital to the body’s pain response. 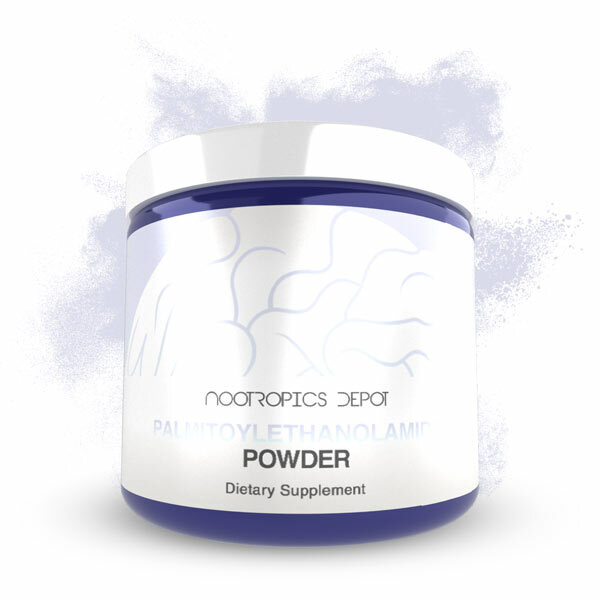 In studies, Palmitoylethanolamide has been shown to bind to the peroxisome proliferator-activated receptor (PPAR-α) in the nucleus of cells. This receptor is responsible for regulating the gene networks connected to the control of pain. Palmitoylethanolamide also has affinity for the cannabinoid-like receptors GPR55 and GPR119. However, PEA does not have affinity for the classic cannabinoid receptors CB1 and CB2. As such, it does not possess the psychoactivity seen in classic cannabinoids. Palmitoylethanolamide also has the ability to reduce the expression of cyclooxygenase-2 (COX-2) and inducible nitric oxide synthase (iNOS). Elevated levels of COX-2 are found during periods of pain. PEA may prevent IkB-alpha degradation and p65 NF-kappaB nuclear translocation, due to its PPAR-alpha agonism. Clinical trials have found that the compound’s action performs numerous biological functions related to chronic pain. While PEA is not technically an endocannabinoid, it often gets grouped into the family; particularly with anandamide, because PEA operates via similar metabolic and synthetic pathways. Endocannabinoids are chemical compounds that activate many of the same receptors as THC, which is the active component in marijuana. Both humans and animals naturally synthesize endocannabinoids, which play a crucial role in bioregulation. They are mainly involved in cell signaling; producing same cell (autocrine) and cell-to-cell (paracrine) actions rather than full systemic effects. The two novel cannabinoid receptors that palmitoylethanolamide binds to, GPR55 and GPR119, are G protein-coupled receptors found in the human body and brain. GPR55 is activated by both the marijuana cannabinoids Δ 9-THC and cannabidiol, along with anandamide. The GPR55 receptor was only discovered in 1999, and many have started referring to it as the CB3 receptor. Since both PEA and anandamide bind to the GPR55 receptor, supplementing PEA not only leads to the effects modulated by direct binding to the GPR55 receptor, but it also leads to increased binding of anandamide to the CB1 and CB2 receptors. This is because it competes for the GPR55 receptor, leaving more anandamide available for binding to the other cannabinoid receptors. The GPR119 receptor is another G protein-coupled receptor expressed mostly in the pancreas and gastrointestinal tract. Activation of the GPR119 receptor have been shown to cause a reduction in food intake and reduction in body weight in rats. PEA is an endogenous modulator and, as mentioned, it’s already present in many of the foods you already consume. In addition, its novel binding sites make it a unique possible solution for those with chronic pain. PEA may offer potential benefits for your personal health. It is most well known for its ability to support pain management. PEA may also support heart health. Studies with mice using PEA found less injury to heart tissue, decreased cell death, and lower levels of cytokines. PEA can also potentially support brain health. 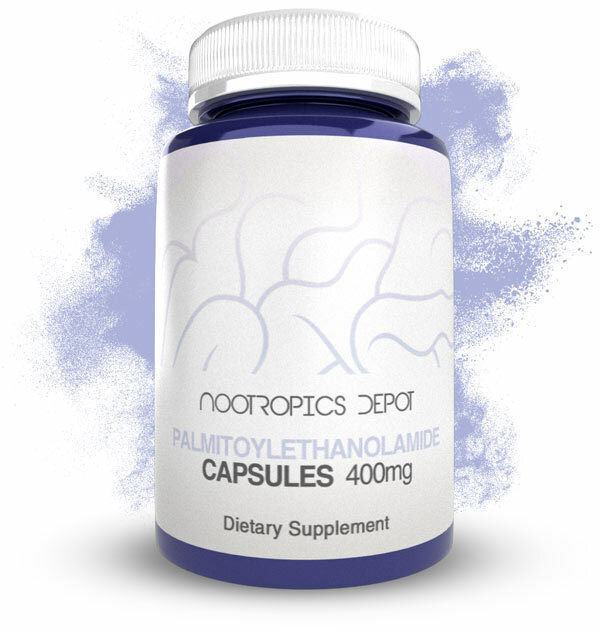 Palmitoyalethanolamide is truly an amazing natural compound, with a variety of potential benefits and positive mechanisms in the body and brain. Research about this compound continues to expand on its new benefits and effects. If you are considering adding PEA, Nootropics Depot offers the compound in both powder form, for self-measuring and customized dosage, and an easy to take capsule form .